This is a simple bedtime story to read to your tiny ones. Sweetie is a young penguin whose loving parents put him to bed. When they fall asleep Sweetie gets up and begins to explore. He meets a friend named Bobo and runs into danger. He learns a valuable lesson about obeying his parents. 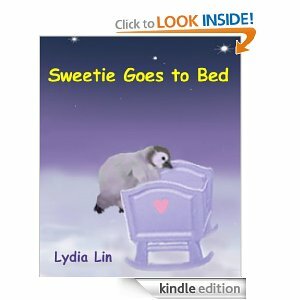 This would be a great story to read to your child after you have tucked them into bed. Great pictures.